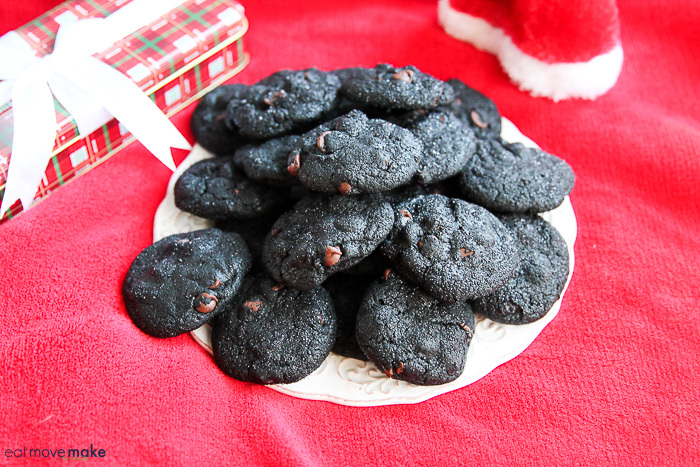 These lump of coal cookies were inspired by a visit I took to an old coal mine in West Virginia last fall. 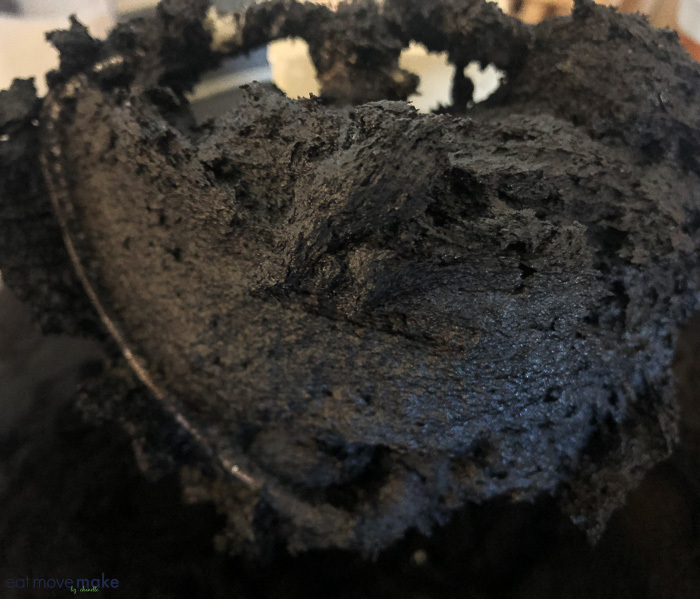 I bought some coal cookies from the gift shop and they were delicious, so I knew I had to try making some at home! 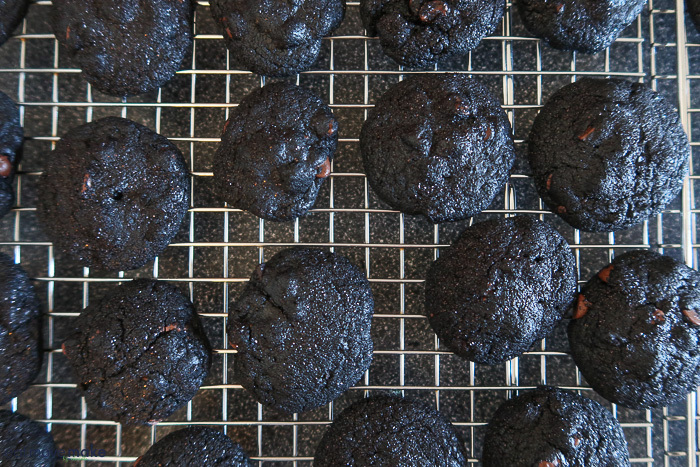 As luck would have it, Ross Canter from Cookie Good was sharing his recipe for Naughty and Nice cookies on TV this week and his naughty cookies were close to what I was envisioning for my own lump of coal cookies, so I decided to make his version and blog it. The key ingredient for the jet black color is the cocoa powder, so listen carefully to what I’m about to say. 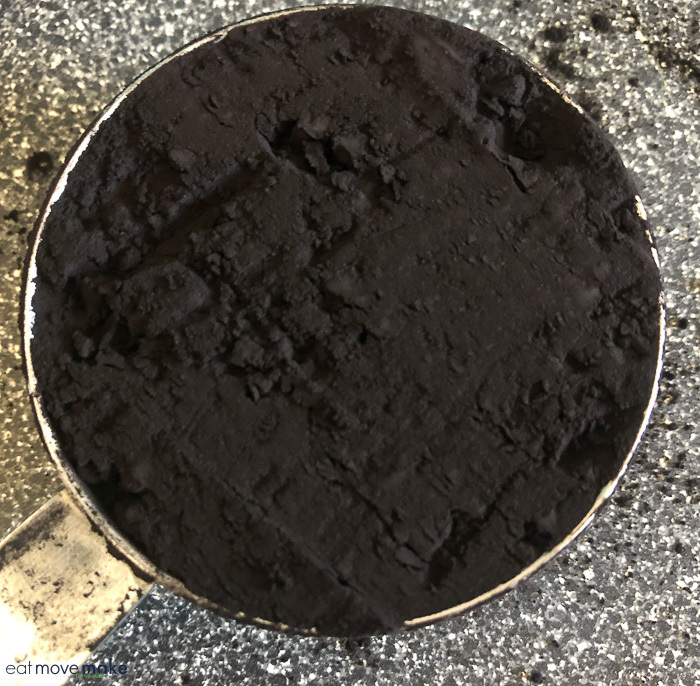 You need black cocoa powder – BLACK, and here’s where I had to do my own research and taste testing. I tried a couple different types of black cocoa, and this one is the one you should get. It’s made from ultra dark chocolate but it’s Dutched so that the flavor is mellower and it gives the cookies a proper delicious bittersweet OREO chocolate cookie taste. 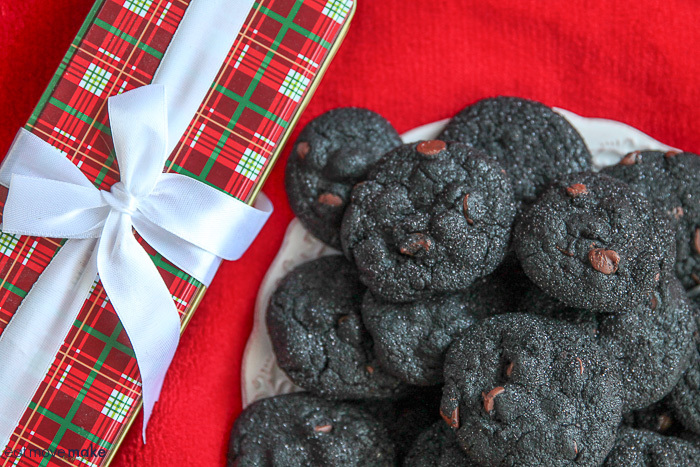 And boy, does it ever give the perfect “sooty” look to the lump of coal cookie dough! Once the dough is ready, roll it into balls and chill in the fridge for 15 minutes or so. 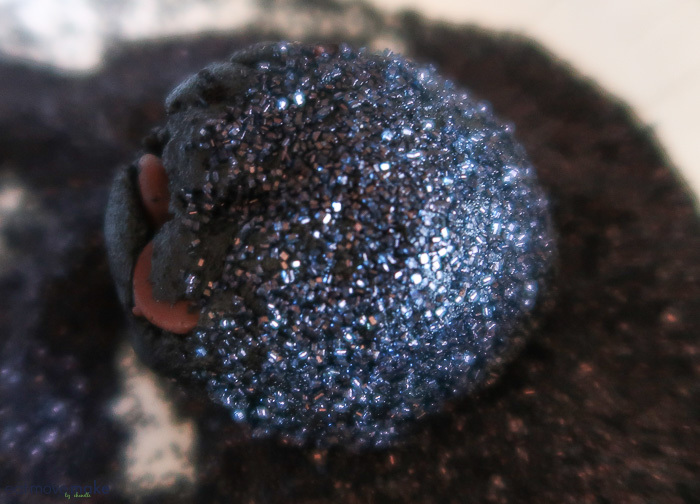 Then roll the balls in black sanding sugar to give the cookies a bit of sparkle! Place them on a baking sheet and bake! They’ll flatten a little bit so make sure you give them room on your tray. Once cooled, store them in an airtight container so they’ll maintain their chewy softness. Gift giving tip: Package a few in a clear cellophane bag and slip inside Christmas stockings. 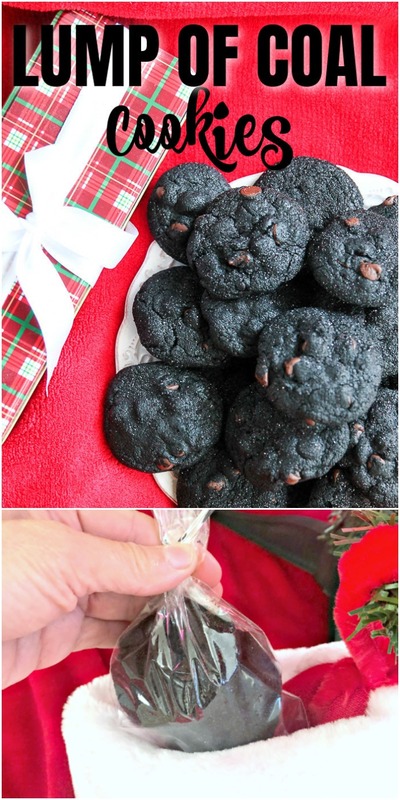 Pin the lump of coal cookies recipe for baking inspiration. In a separate bowl, whisk together flour, baking powder and baking soda. Gradually fold into butter and cocoa mixture. Fold in chocolate chips and crushed OREOS. Form into balls; chill in refrigerator. Roll balls in black sanding sugar. Place on ungreased baking sheet. Bake about 12 minutes. Let stand on cookie sheet one minute; transfer to wire cooling rack. Pin the Lump of Coal cookies! I bet they taste just wonderful! The ingredients sounds tasty! I got everything made, but 1. I was supposed to review a Christmas roller. Well I waited and waited. It must have been one of those things that came from China. Anyhow I just got it yesterday. It’s not even that impressive. Ha! I can make this but I won’t dare show it to my mom. Haha. She will think I burned the cookies. Maybe I can give some to her to taste and that will surely change her mind. I was thinking the same thing for the kids – they’ll love it and hate me at the same time! OMG! I love this. It looks hilarious but delicious at the same time. I’m going to try to make some for the kids this weekend to put some in their stocking. I haven’t heard of black cocoa powder before. 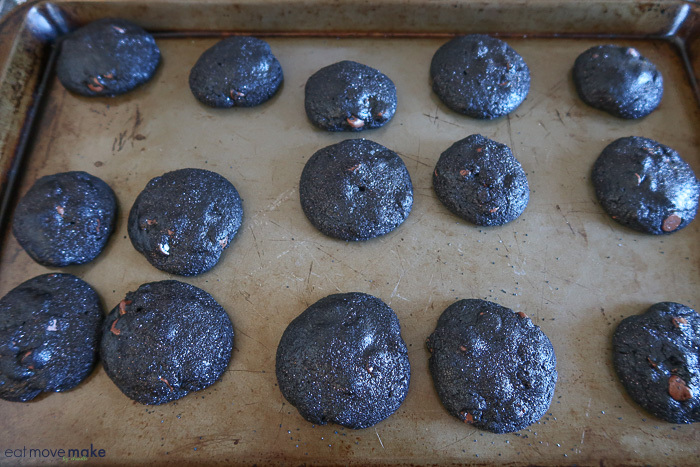 These cookies really do look like coal. I bet they taste delicious though. That is too funny! Love this idea. There are a few people I can think of off hand to give these to! 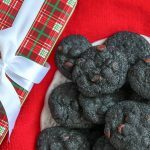 What a creative and festive cookie recipe! They look tasty. I am obsessed! These are just the sweetest thing and look delish! They are sooo cool! They really look like lumps of coal! LOL!!! I know three kids who probably deserve a dozen of these each! They are so cute but perfect for naughties! What a fun and tasty treat for Christmas! 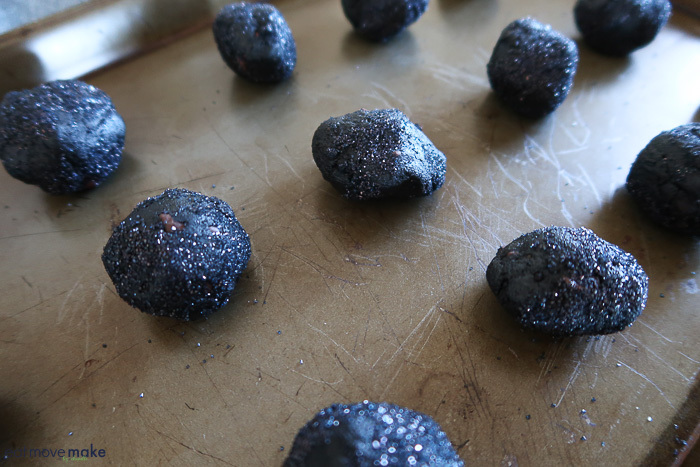 They do look like lumps of coal. I can see having these as a prank! 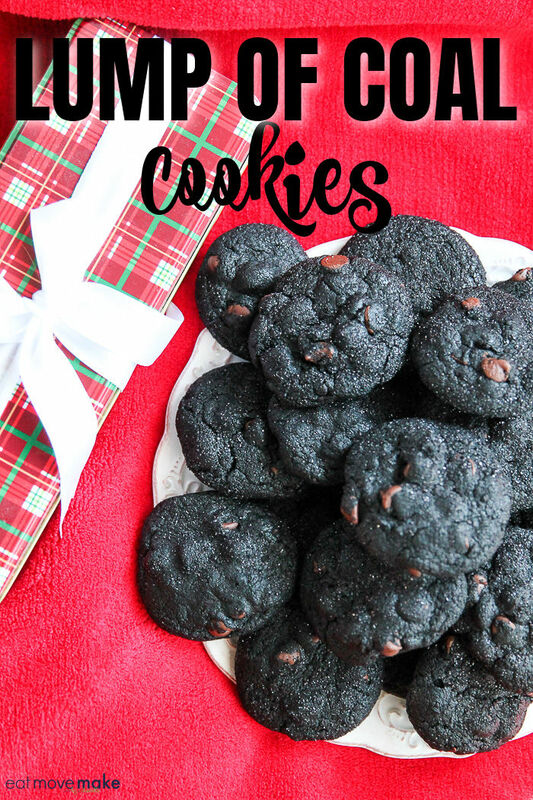 I have to make a batch of these and put them in my kids’ stockings! These are so great!